What is Constant Contact and why use it? Constant Contact is an online marketing company that lets you create email templates, send them to your contacts, and track the results. There are a lot of companies out there in today’s market that do this. Constant Contact, MailChimp, Vision6, icontact, Campaign Monitor – they fall under the category of Electronic Direct Marketing (EDM). While each product has nuances all essentially achieve the same thing – create email templates, send to contacts and track the results. Tracking the results, or reporting, allows you to see the number of emails sent, opened, clicked, bounced, marked as spam, opted out and did not open. This is useful to see the reporting at a macro campaign level for effectiveness. 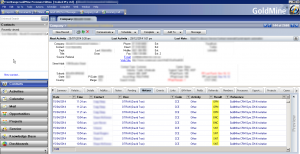 Here’s an article on the Available Email Marketing Reports in Constant Contact. Why integrate Constant Contact and GoldMine? Who clicked on what sections of your email. What was the most popular section of your email. What email was sent and when. When the contact opened the email. When the contact clicked with the email. EDM delivers open rates reports at the macro level. “20% of recipients opened my email”. 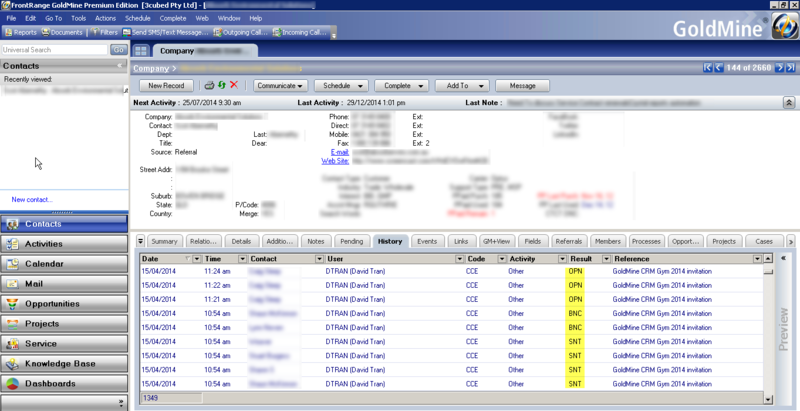 EDM to CRM gives you micro level reporting. “253 prospects in the Financial Planning industry opened my email”. Combining open rates with CRM information gives you much better quality information on how your campaign performed. Effective CRM is about seamlessly providing high quality, qualified leads from marketing to sales giving concrete lead source identification. All in all, the reporting for your EDM is further enhanced by being about to see at a micro contact level your campaign effectiveness. Constant Contact starts from $15USD per month. 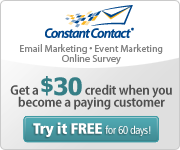 Click on the image for a referral link for free 2 month trial and $30 credit when you sign up to Constant Contact. Joining 3cubed’s Constant Contact partner program is free and allows our consultants to support you directly. We’ve had clients sell over $35,000 in product in their first campaign. To view more details on these stories, view the article on GoldMine and Constant Contact integration. Posted in: CRM Results, GoldMine News.